However, at the same time as great as it might sound, there are tons of gimbals out there in the market and the sad truth is that most gimbals do roughly the same and performance wise more or less is as good as it gets. Therefore, I’ve decided to make a quick buying guide of what to look out for and the 7 best affordable gimbals we found after scouring hundreds of other gimbals out there. 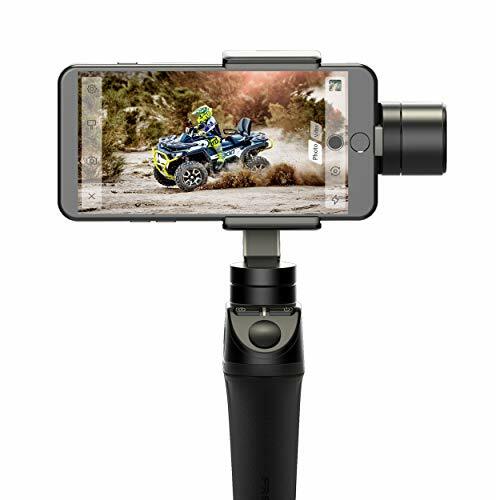 Oh and also, most gimbals I’ve listed below are for smartphones so if you’re looking to use it for your action camera or any other types of compact cameras, check out my recommendations for the best action camera gimbals here. Axis Stabilization – Mainly 2 different types 2 axis and 3 axis. 3 axis are better and used to be costly but not anymore. Axis Rotation – Amount of rotation the gimbal is capable of. Some have 360˚ panning rotation which is great for taking panoramic shots and shooting wefies videos. Battery – Just for a reference, on average they last for 8 hours continous use. Some also come with a replaceable battery option which can come handy during long trips. Live-charging – Allows direct charging of your device through the gimbal. Super useful if you’re using a smartphone because it tends to die out pretty quickly. Consider what you’re mainly using it for. Are you using it for your smartphone, your action cam or your point and shoot camera? Although most gimbals are for smartphones, action cams are pretty interchangeable via a nifty adapter. However, for DSLR and other bigger cameras, a specific gimbal such as the DJI Ronin-S has to be purchased, which are usually really expensive as the motor strength on normal smartphone gimbals just aren’t strong enough to support them. Although this isn’t as important as the other features on this list, you should still consider the weight of a gimbal when getting one. As a general rule, the lighter the better as you’ll be able to carry it for a longer time as there’ll be less strain on your arm. The smooth-Q was one of the pioneer of cheap gimbals and revolutionsied gimbal as a whole because it carried the same quality as other gimbals that cost more than twiced that of it. That’s why the best thing about the smooth-q is undoubtedly the value for money because it stabilizes at the same quality as the other more costly ones. The aluminum finish is also made very solidly and feels really good to the touch. During my review of it, despite even after dropping it a few times (accidentally), the gimbal still remained perfectly fine and functional. That’s why we feel that it’s really well made and durable, making it even more worth for your investment. The thing about the Smooth-Q is that it’s perfect for beginners or whoever looking for a simple gimbal that gets the job done. Moreover, it also features a really large 3400mah battery, which lasts very long at about 10-12 hours continous use and just for reference more than 3 times larger than Osmo mobile’s 980mAh battery. Because this battery is so large, they have taken advantage of this by allowing live-charging, which is used to charge your device be it a smartphone or an action cam so even if you’re device is flat, you’ll still be able to make use of its enormous battery life which comes useful when you’re out during long trips. All in all, the smooth-q is great if you want a simple gimbal that gets the job done without much setting up. Not to mention the tough build quality present so you really can’t wrong getting the smooth-q. If you’re interested in reading more about it, definitely check out my full review on it here! Right off the bat, the body of the vimble c looks odd and bulky when compared to other sleeker, metallic gimbals out there. However, despite just being a little larger than its other counterparts out there, the vimble c boasts a very comfortable and ergonomic grip. After reviewing and testing out many gimbals, we just feel the majority of gimbals out there are just built for performance, rather than comfort and convenience. However, the Vimble C is an exception: the contour of the grip, together with the lightweight body, really makes a great difference as because of this, we could finally hold on to a gimbal for hours upon hours without feeling much fatigue, something we could never do with any other gimbal. Having said that, the Vimble C does have some drawbacks. The handle, despite being comfortable and grippy, was also a little too large for our liking. As a result, the gimbal feels unsafe when the thumb is released, such as when using the joystick. Moreover, because of the material used, which is mostly rubber and plastic, it doesn’t insulate well against moisture and wet conditions as metallic ones. Thus, if you’re planning to get it, make sure you’re not going anywhere that can potentially damage it. All in all, the performance of the vimble c is really good (stabilizing, build quality, etc) since after all, it’s made from Feiyu, one of the best gimbal manufacturers in the world. Read more about it in my full review here! 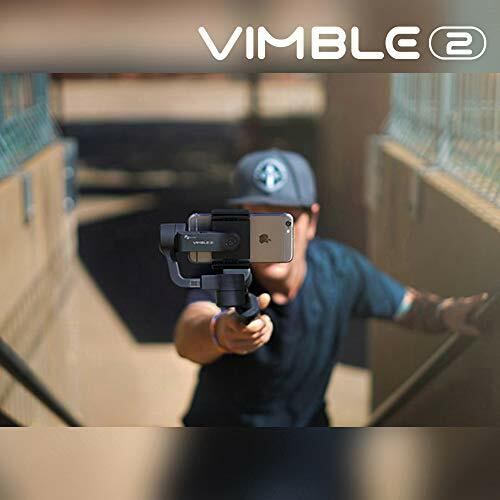 The Vimble 2 is a really cool gimbal because of its rare built-in selfie stick! You might expect the vimble 2 to be heavier than the most gimbals but quite weirdly enough, it’s the other way round and lighter than many gimbals because it’s compensated by its lightweight plastic yet durable body. With this extension pole, it makes vlogging all the more easier. You’re now not only limited to shooting from eye level, but also from your waists and above your head, which makes your video way more interesting to watch! No one likes a boring video taken from the same perspective right? Other than that, the Vimble 2 also comes with a mini tripod, which you can attach to the base of gimbal. This is great for balancing it on a flat surface to film time-lapse, take group wefies, storing it and makes the vimble 2 much easier to mount and use. Moreover, the contoured rubberised grip at the back also allows for a firm and stable grip, making it almost impossible to drop it accidentally, reducing your chances of damaging it. Furthermore, the quick switch smartphone mount, one of the best I’ve used, allows you to easily switch from landscape to portrait mode. This gives you a lot of versatility when it comes to shooting and makes vlogging way more fun for you and your viewers. However, as perfect as it seem, we still felt there are some areas that the vimble 2 could be better. 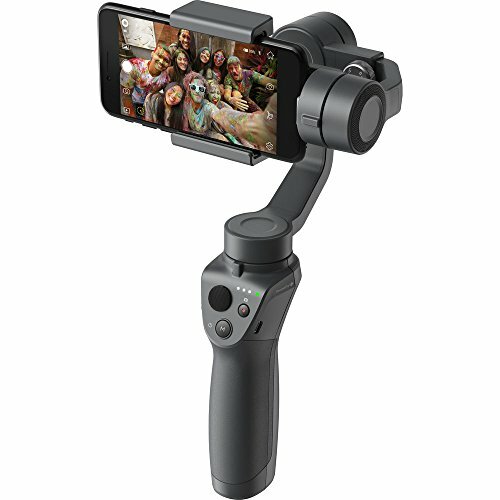 If you’re using it for your smartphone, which is very likely, the gimbal companion app isn’t as great as the other apps out there because it isn’t as versatile and lacks a few of the customisations that you see on the other apps though it still has all the basic features (photo, video, timelapse, etc). Also, we also felt the motor to be a little “loose”, which at times can cause the video to be a little jerky, especially when there’s strong vibrations. Another area for improvement is battery life. Most gimbals last about 8-12 hours when continuously used but the vimble 2 only last about 5 hours. Though it’s definitely long enough for the average user this is definitely something you should consider if you’re planning on using it for a long period of time at once. 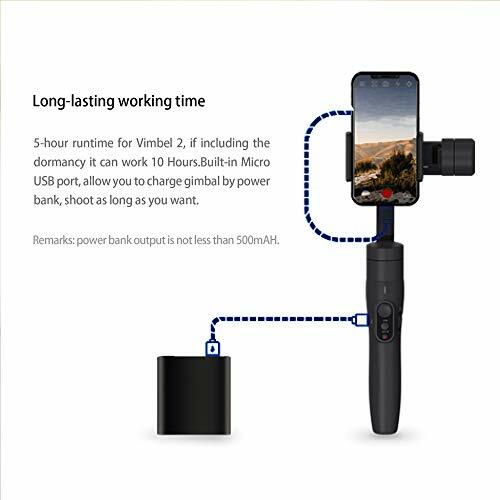 The Vimble 2 is definitely a great gimbal to bring to your holidays due to its main selling point, the extension pole, which saves you the hassle of bringing an extra monostick to capture the excitement. Moreover, the low price tag also make it one of the best cheap gimbals out there. 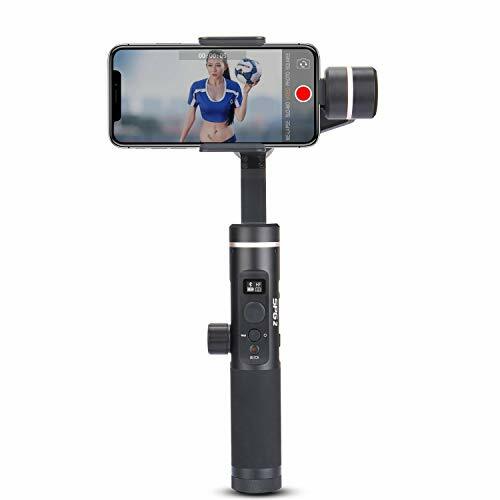 DJI has always been known for their top notch and high quality products and the DJI Osmo Mobile 2, with it’s high quality build, does not disappoint. Compared to its predecessor the Osmo Mobile, the new Osmo Mobile 2 is a huge leap ahead. It has longer battery life (3x more), is lighter, so you can carry it without feeling much fatigue and most importantly for many of us, way cheaper. However, the main reason why the Osmo stands out from its competitor is software integration and vast array of features they offer. Upon entering the smartphone app and easily setting it up, you have the options to film really cool types of videography, otherwise not possible on a normal smartphones such as Smooth Panorama, Motion-Lapse and Hyperlapse, which you can easily impress your mates with. Moreover, the Osmo Mobile 2 can also be used as a power bank, which is great to prevent your phone from dying when you need it most, which happens to the best of us at times. Having said that, there are still a few areas of improvement that it can be enhanced upon. This include increasing the panning range to 360˚ (currently 340°), which allows for the rear facing camera to take selfie videos , and also easing the switch between landscape and portrait mode, which is a new feature implemented. But otherwise, everything on the Osmo Mobile 2 just feels great, from the control, the build quality, all the way to its app. 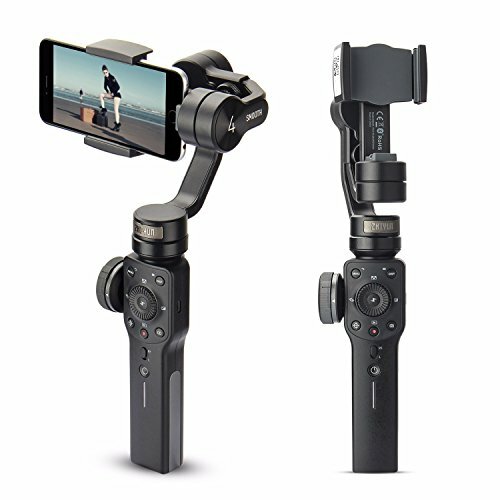 It’s super fun to use and the best thing is all the bugs that you see with many other chinese gimbals are practically nonexistent on the Osmo Mobile 2, which makes this my number 1 recommendation for the best cheap gimbal for smartphone. The smooth 4 is quite different from other cheap gimbals that’s listed here because if you were to guess the price of this, it certainly looks expensive with many of the bells and whistles. At first glance, it might seem quite overwhelming especially if you’re relatively new to gimbal and it definitely did for me. But after a while of playing and testing with it, it somehow became second nature as all the buttons and controls were very straightforward. From the menu, there are many customisations you can make such ranging from white balance, ISO, shutter speed, all the way to filters and hyperlapse, stuff we personally didn’t know was possible using a smartphone. Moreover, because the app allows you to manually focus on your phone, you can even achieve rack focusing on your smartphone, something even we didn’t know was possible with a smartphone! Having said ALL of that, there’s still some limitations on the Smooth 4 that’s preventing it from being the best gimbal of all time! Firstly, because it doesn’t offer a 360˚ panning axis rotation, there’s no selfie mode on this. As a result, if you like vlogging and facing the camera towards you, you have no choice but to use the front-facing camera, which can be yucky at times. Secondly, because this gimbal is packed with so many features, it too comes with a bulky body and weighs a little heavier than normal. Hence, if you’re looking for a minimalistic gimbal to stabilise your footage, this might not the best for you. Lastly, throughout the duration of our testing, we found some features on the app to not be exactly very stable, particularly the hyperlapse motion and the motion tracking feature. However, we’re still pretty optimistic towards that they’re going to fix it soon since it’s a software issue and so it shouldn’t be much of a problem. 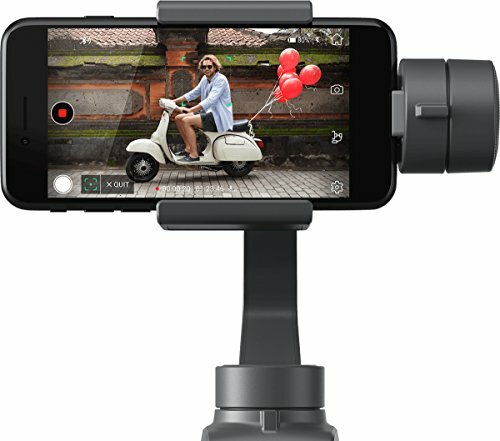 All in all, the smooth 4 is a great gimbal for you’re serious about filming professional videos using your phone, but at the same time not minding the extra weight and size to it. Also, did we mention how it doesn’t cost any much more other gimbals on this list despite it having such wide variety of features? Unbelievablely amazing! Originally an Indiegogo project, the Vilta M combines user-friendliness and advanced technology to help you create smooth and cinematic like footages. A lot of gimbals on the market now, despite being able to produce great shots, have great software integration and can easily last a day. But it lacks in one important aspect: comfort and user-friendliness. However, the Vilta M is a rare gimbal that really made me feel otherwise. That’s because upon holding it for the first time, the Vilta M certainly feels super comfortable to hold and operate with its comfortable grip on both the front and back of the gimbal. Moreover, balancing the Vilta M on flat surfaces, which is great for taking time-lapse, quick wefies or even for storing it, is made really easy due to its wide base, which is a great design that not many other gimbals have implemented. Besides the gimbal, the Vilta M also comes with a security strap for extra security which can comes handy when you’re always on the move, which allow you to focus more on the shooting than be worried of dropping or damaging it. Another thing that definitely stand out would be it’s insanely long battery life. Usually, gimbals with extremely long battery life would range about 8 – 12 hours but the Vilta M takes it to another level by featuring a 17 hours continuous use thanks to its Intelligent Battery Management system (IBM). Furthermore, the Vilta M also has unlimited panning range which allows for selfie mode (using rear camera to shoot at you). This is awesome if you’re into vlogging because you wouldn’t have to use the inferior front-facing camera to shoot you and your beautiful sceneries. 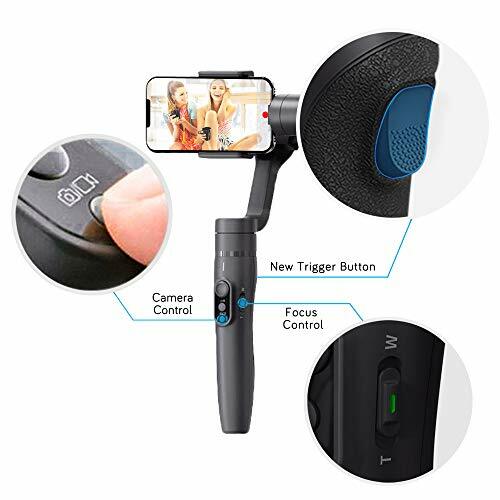 That, together with its long battery life and it’s small and compact body really makes it an ideal gimbal for bringing into road trips or holidays where charging may not be that convenient. At the end of the day, the Vilta M certainly does not disappoint and its strength definitely lies in its app, which works perfectly and it’s literally bugless as far as I’ve used it. That, coupled with its long battery life and its unlimited panning rotation certainly makes it a very appealing gimbal to get. But if you’re looking for one to bring to your next vacations, I’d say there’s no other better one than this. I have used multiple gimbals in the past and build my own gimbals as well the big heavy ones 2-3 years ago. This gimbal is a combination and experiences of all the gimbals in the past combined into one. The designer has learned well and taking all aspects in making a good mobile gimbal. Extremely Long Battery Life - Never worry about it dying. The SPG series has always been known for one of the best gimbal series mainly due to its durability and high build quality. The newest of its series is no different but it has several other new features up its sleeves. If you plan on using the original audio instead of voicing over or have a music overlay, this feature might come handy. Truth to be told, most sounds recorded by phones with gimbals are really poor mostly because the mics on your phones are covered by the phone mount. However, with this feature that allows you to connect an external mic through the audio port, you can get way better audio quality. And even if you’re just a casual videographer going out with your loved ones, it’d be fun to know what they said during those treasured moments. The SPG2 is one of the few gimbals that adopt a side knob and despite it being a little more bulkier, I can say for sure every gimbal needs one! The side knob, or “Magic Ring”, allows you to fine tune and control each of the gimbal’s 3 axis rotation. And unlike a traditional joystick used by many other gimbals, this allows you to have an even stable control over it so you never have to worry about having nimble hands to get smooth cinematic shots. Furthermore, upon pairing with the Feiyu Vicool app, you’ll be able to manually and fluidly control the ISO, exposure, white balance, zoom and focus which will definitely keep your friends wondering how you manage to capture it! With this status display, you no longer have to rotate your gimbal to find out which mode it is in and turn it the other way to check the battery level! Now all you need to know such as Bluetooth connectivity, stabilization mode and battery power level, are squeezed into this tiny power saving display! This concludes my recommendations for the best cheap gimbals out there in the market. If you’re interested in gimbals made for action cameras and GoPros, definitely check out my top recommendations over here! Otherwise, if you’ve any thoughts or queries, definitely leave a comment down below and I’ll get back to you ASAP! That’s all for now and have a great one! I had owned Zhiyun Smooth 4 for one month. It’s a good one: the cheap price but adapts almost my requirements.